Having owned and operated a real estate and appraisal company for most of the 90's, Emory has been around commercial and residential real estate most of his professional career. Emory graduated from ECU in 1993 with a BS degree in Urban and Regional Planning. 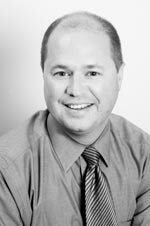 Since 2001 when he went to work at Samet, Emory has developed a network of Greensboro and Mebane based clients that have established him as one of the premier brokers in the Triad market. Emory is member and sponsor of the NC Chapter of Ducks Unlimited and as Chairman headed up a very successful Dale Earnhardt International DU Fundraiser in 2003 with Teresa Earnhardt. William is a native of Winston-Salem, NC and he and his wife Paige and daughter Hollis currently live in Winston-Salem. He began his real estate career in 1998 with Southwind Properties as a broker with a concentration on investment transactions throughout the southeast region. In mid 1999 he took a position with Samet Corporation as Asset Manager responsible for a portfolio of real estate in excess of 2.75 million square feet. The managed real estate consisted of a blend of industrial, office and retail space located in the Piedmont Triad region of North Carolina. During his years at Samet he consistently outpaced the local market by maintaining an average occupancy rate of 90% or greater while working on transactions totaling greater than 2 million square feet on deal sizes from $100,000.00 to $5,000,000.00. 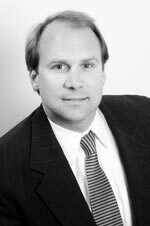 In October 2001, William earned the prominent Certified Commercial Investment Member designation (CCIM) (www.ccim.com) and is currently serving on the board of directors for the North Carolina CCIM Chapter. As a 1991 graduate of High Point University with a BS in Economics, William has a tremendous amount experience representing Landlords and Owners of real estate and knows how to deal with the complexity of real estate transactions and the commitment that it takes see them through to consummation.